Welcome our gorgeous floor-length chiffon dress! The plunging neckline top is fully embellished with bright crystals that will make you shine. 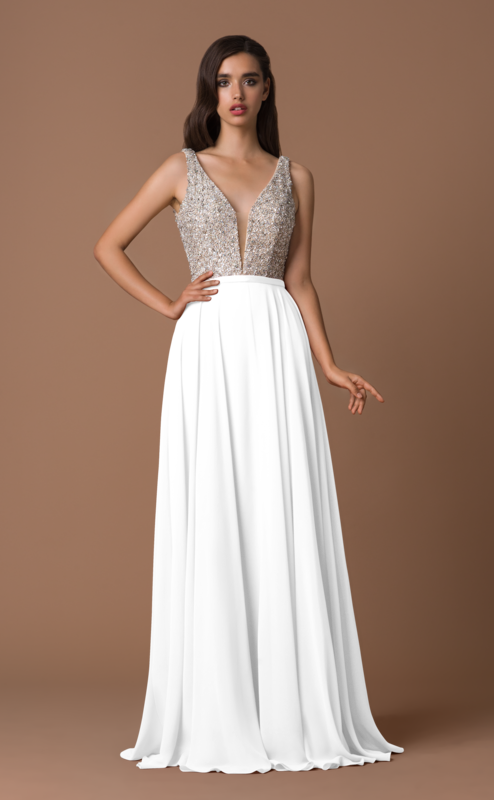 The gown comes in three wonderful colours: Silver, Scarlet, and Hunter Green.